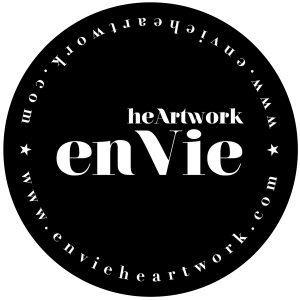 enVie heArtwork is a fashion refinery & fur (recycling) label founded in 2011.
enVie [« ooohwie »] coming from the french and stands for “to fancy something”, as well to envy someone… moreover the venue of enVie is literally in Vienna. The true enVie „fury tale“ started, when Nina and furrier Marcel Jouja found each other in May 2012. The first Fur Recycling experiment started with an original used army tent & military jacket, a black glama mink coat & leftovers from canadian lynx fur: That was the beginning of the Masterpiece a.k.a. enVie M78 Mink Parka, as well the “transfurmer hood”. Not only Nina & Marcel loved the result, luckily many others did too. Soon after, they started cooperating with hunters and vintage fur traders in Austria and Germany, from where they source the (pre-existing) fur material. The enVie fur recycling service has become more & more successful, so they outsourced their fur production to a family manufacture in Italy. 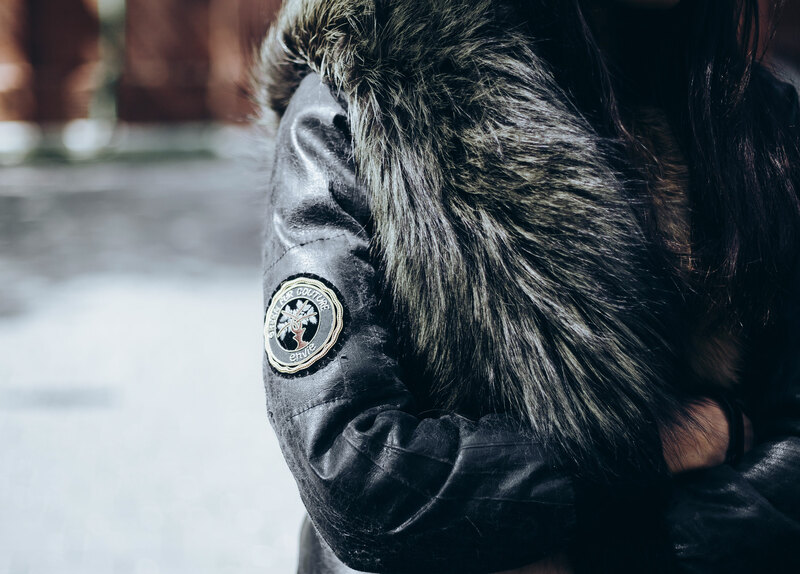 They sell ready-to-wear Parkas for women, men and children from stock, but as well more and more people come with their own “old furs” to get a customized fur parka or any other enVie GREEN FUR COUTURE piece. Green Fur Couture is the transformation of vintage fur into modern one-of-a-kind fashion pieces. All enVie Green Fur Couture pieces are handcrafted in Europe and customizable on individual order basis. Team enVie collaborates with the client to create a masterpiece, home accessory or concept that is individually designed and unique: From total fur coat makeover, to parka lining or simple hood trimming of your favourite winter jacket. Fur is natural, recyclable and is one of the few clothing materials that can be re-styled several times, worn for generations and many seasons. Generated from the belief that environmental awareness can coexist with high-quality fashion, enVie focused on up-cycling existing fur and leather garments: It would be sad if vintage coats and jackets remain unworn in closets or in the family fundus – beyond that “oldtimer fur” is less toxic to the environment than faux furs, which are made from petroleum. In our world of overflowing landfills and global warming, recycling is more relevant than ever. Fur is natural, recyclable and is one of the few clothing materials that can be re-styled several times, worn for generations and many seasons. Finally fur “returns to the earth” as an organic material without causing any pollution. enVie exclusively make use of vintage fur clothes (like mink, broadtail, fox, opossum, racoon) or collaborates directly with hunters and trappers, who take care keeping the forests and wildlife areas in natural balance. Any fur used by enVie is never sourced from breeding animal farms. Last but not least. Team enVie is not only forward (green) thinking – they even managed to hit an international (green fur) fashion trend.